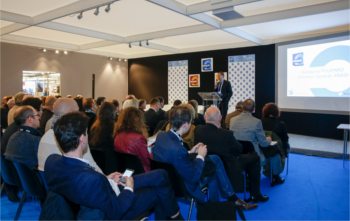 Following the success of the 2015 conferences, Milipol Paris 2017 was once again running a free conference programme for visitors and exhibitors. Several key themes for the homeland security sector have been covered during 4 days. These conferences featured top international experts and were conducted in French and English with different format: keynote, conference, panel debate, case study, etc. Specific tracks were dedicated to the Horizon 2020 Programme on Wednesday and on the Private Security on Friday. The conference programme enabled participants to be informed by and discuss with security professionals the current issues facing the security sector. Anne-Clémentine LARROQUE, Islam Expert, Lecturer in Geopolitics, Sciences Po and counter-terrorism Analyst, Ministry of Justice.